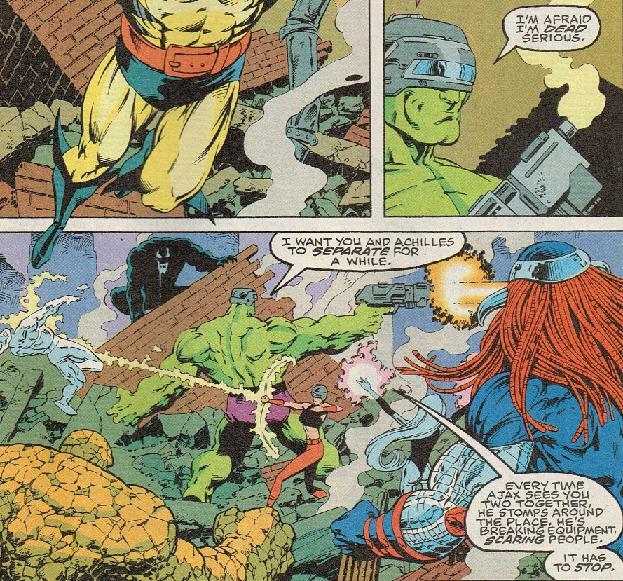 Well – it seems there may be no Planet Hulk movie on the horizon – I think most of us knew that was a long shot anyways – but there is news on the upcoming Hulk “talkie” – click on the pic above. I know it says “news” – but it’s mostly still rumors abound! Sure enough… I did pick this up. Never saw it in retail stores, just my LCS, so I picked it up there. Not to sure about anything else about this boxed set because it seemed to come and go without so much as a whisper. 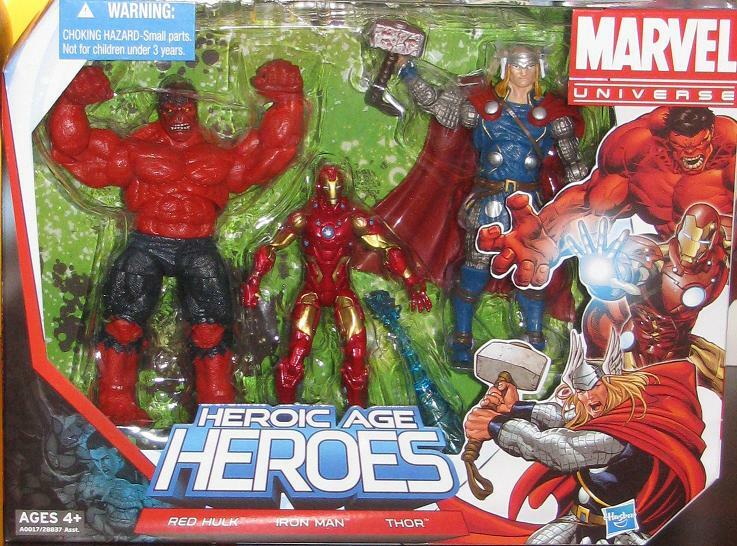 Maybe it’s because The Heroic Age Heroes Boxed Set (2012, $29.99) didn’t have much to offer as far as figures go. 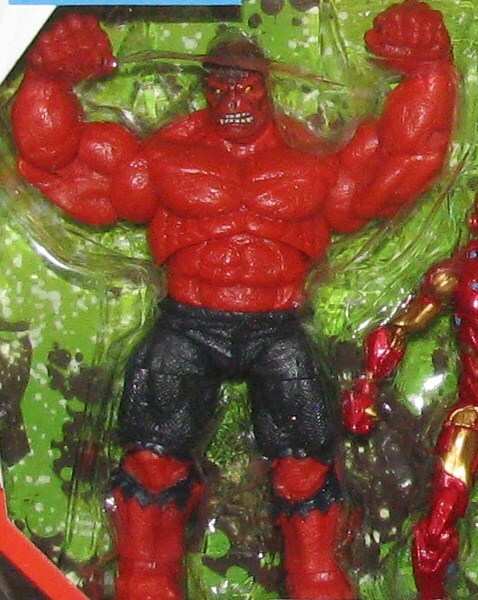 In fact, the only figure that is significantly different is the Red Hulk. This is the from the latest mold that the string of Hulk releases has been from and, it may be just me, but I don’t really think the red fits this sculpt. 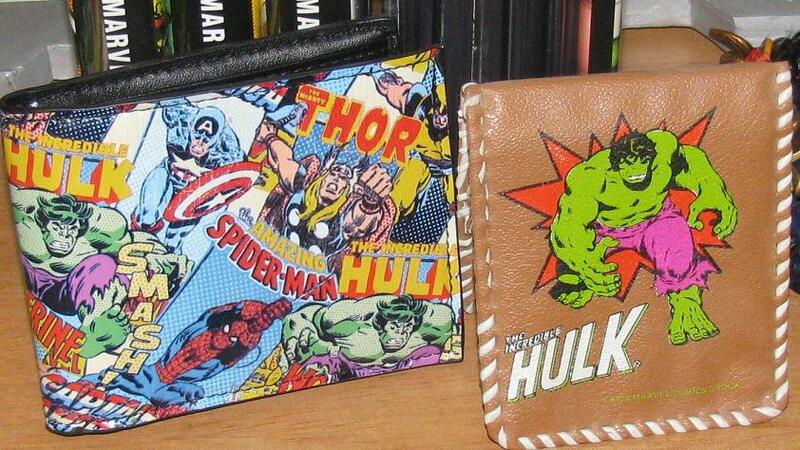 I still haven’t shown off everything the wife gave me for Christmas – these were such great surprises because it’s never easy to give a Hulk item to me. 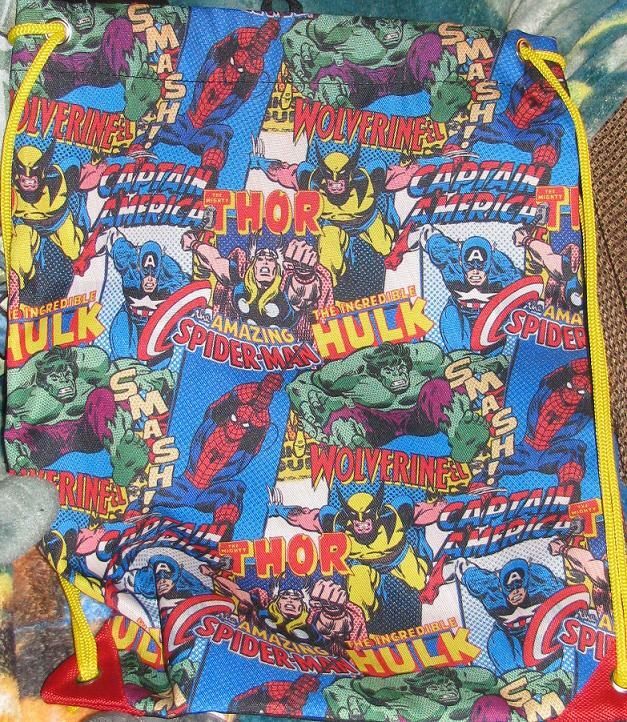 I have an entire room full of Hulk goodness and, on top of that, I have storage containers FULL of more. For someone who doesn’t know anything about my collection trying to add to it is almost impossible. 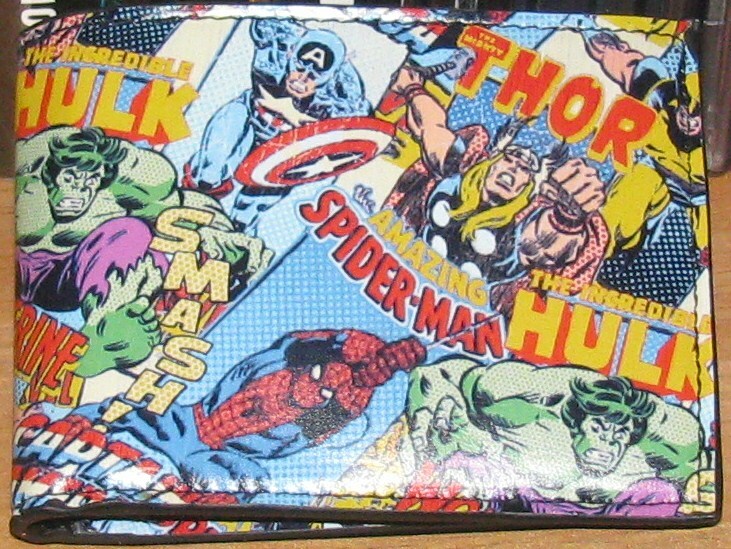 Thankfully, my wife was up to the challenge and decided to take a leap and add this Marvel Collage Cinch Bag (2012, $11.99) and Marvel Collage Wallet (2012, $9.99) to the room. I don’t use wallets – I can’t imagine having this chunky, folded “pleathery” holder for your cards and money shoved into your pocket all day. I am more a money clip guy. This was one of the hardest lists to put together – had to draw a lot of pics from the same sources – but I think you guys will enjoy the next 30 days… coming soon! Okay… took a while – a real LONG while – but I have updated the Comics Pages – specifically Pages 1, 2 and 4. They don’t all have links yet – and it’s a constant process of adding new issues when I find them and as they come out – but it’s pretty complete (as far as I know) that the ‘net has to offer. 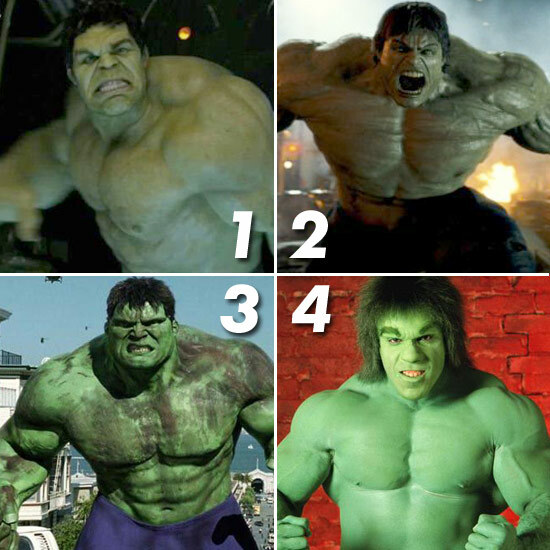 I am trying to give everyone the most complete list I can of Hulk issues out there – and wow are there a ton! But, like I said, it’s been updated. 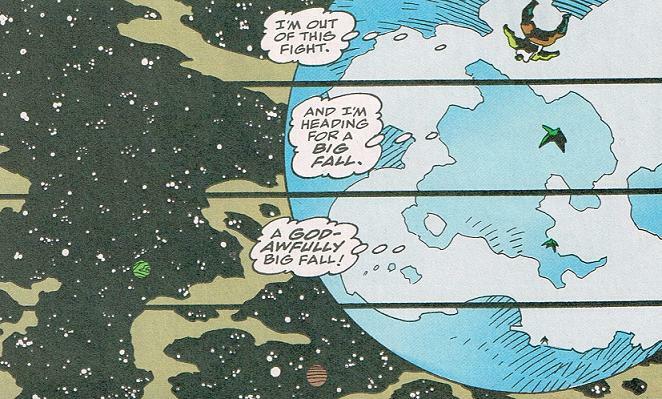 This seems to be a popular game here – and there has not been one panel that someone hasn’t been able to guess. I am shocked and awed by the knowledge some of you guys possess. You guys are comic Gods! 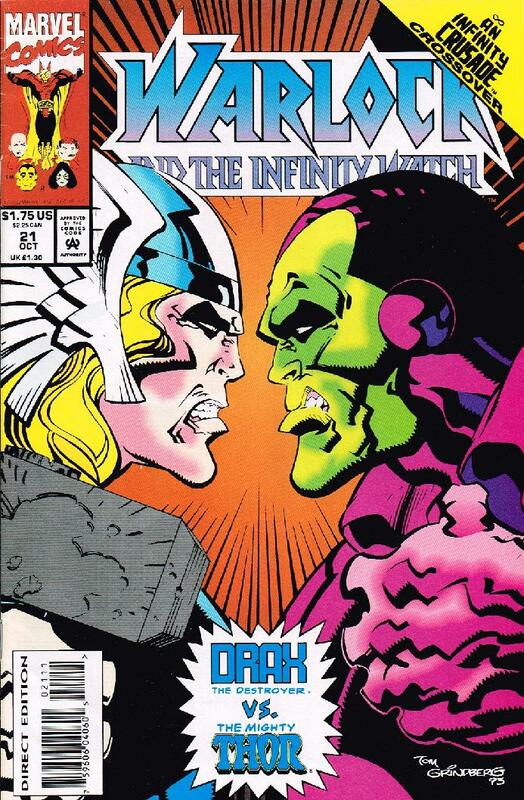 But good luck to all on this one… remember, Series and Issue # – GO!